The main swimming pool (“El Ocho”) and the children’s swimming pool (“La Pileta”), are located in the children’s park and pool bar area. The “Oasis” swimming pool has an access ramp for guests with reduced mobility. Sun beds, towels and parasols are all available for our guests. Tropical Park offers different facilities for you to enjoy during your stay. We have a squash court, a bowls lawn, gym, ecogym, sauna and Jacuzzi. 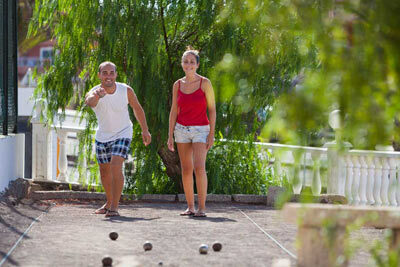 You can also have fun with our different games which include a pool table, darts and table tennis. Also, we have a snorkeling centre within our facilities where you can enjoy different underwater adventures. Massages, beauty treatments and a hair salon are some of the services we have on offer. Treat yourself to moments of relaxation and beauty during your holidays! 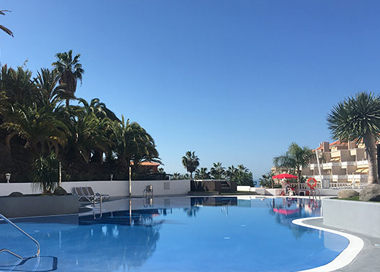 151 Junior Suites with views of the complex, sea, the pool and the island of La Gomera. 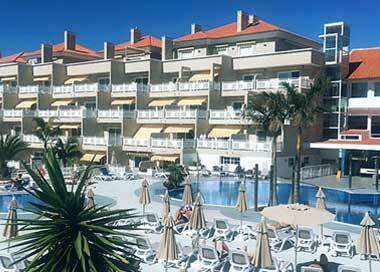 12 Superior Junior Suites with views of the complex, sea, the pool and the island of La Gomera. 6 rooms with access adapted for guests with reduced mobility.